Love the moment you captured there. Hope those involved do as well. Great use of natural lighting. Well done! Thanks Jagged Man! I got drafted in at short notice because their photographer dropped out. The first time I ever spoke to the bride she was stood in her wedding dress half an hour before she was due to be married! 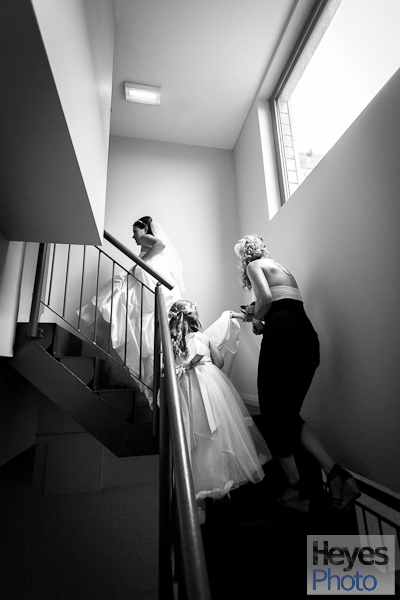 I like this photo (taken with the 17-40mm at 17mm) because the wide angle really exaggerates the lines – the window ledge, the hand rail – all pointing to the bride.